I’d like to say from the very beginning that I knew flyte was going to be going strong two decades later. When I started flyte new media—then “b1 communications”—out of my bedroom in my apartment in Jamaica Plain, I gave myself maybe two years before either programmers learned how to design or designers learned how to program and I would be forced to get a real job. But here I am, twenty years later, still running that business. So much has changed in that time, while other things remain the same. I wrote about search engine optimization back in 1997 in one of my first print newsletters. Maybe I’ll just leave that there. If that doesn’t sum up “the more things change, the more things stay the same,” I don’t know what does. My chosen career is in an ever-changing, fast-paced industry. Over the years flyte and our crew has had to adapt. Learn new skills while dropping others. We’ve added email marketing, blogging, content creation, podcasting, and of course, social media to what we offer our clients. We’ve built sites using certain technologies that years or even months later seem obsolete. (R.I.P., Flash, Cold Fusion, and DreamWeaver.) We’ve needed to adapt to a “mobile first” approach to websites, as more people spend time on their phones than their computers. Our desktop computers have had hard drives and floppy drives, zip drives and thumb drives, CD players and DVD players. They’ve been able to write to discs and they’ve come without even a disc player. Yes, a lot has happened in 20 years. And there’s no way I would have made it to this anniversary if not for the work of a lot of amazing co-workers and clients over the years. Businesses don’t succeed because of the efforts of just one person. You may have run Facebook Ads and Google Ads, but many people often forget about Twitter Ads. At flyte, we have many clients that heavily rely on Facebook and Google to drive traffic. However, they’re ignoring the opportunities of advertising on Twitter. A majority of Twitter users use this platform for news, sporting updates, product/service updates, and to join in on conversations on all of the above. Personally, I use Twitter to follow many digital marketing experts and sporting analysts. I always need to know which player will help my fantasy football team win (3 Time Champ)! Lately, we’ve been interested in branching out from advertising solely on Facebook and Google, and seeing how Twitter ads fare. 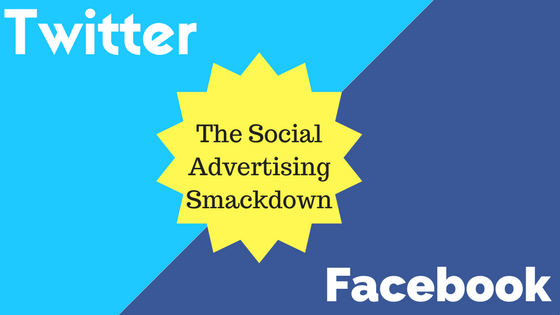 After running some similar campaigns, I wanted to share some data from our most recent Facebook Ad vs.Twitter Ad test. I have to admit, I was surprised at the results.. It’s almost as nice as finding twenty bucks on the sidewalk. Do you have a business page setup? Are multiple people accessing your business page? Are you managing several Facebook business pages? 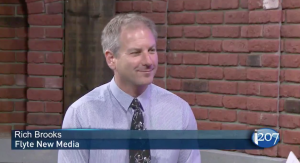 At this point I’ve been on 207, the evening news program on the NBC affiliates in Maine, at least 50 times, talking about everything from online safety to smartphone photography to best recipe sites. 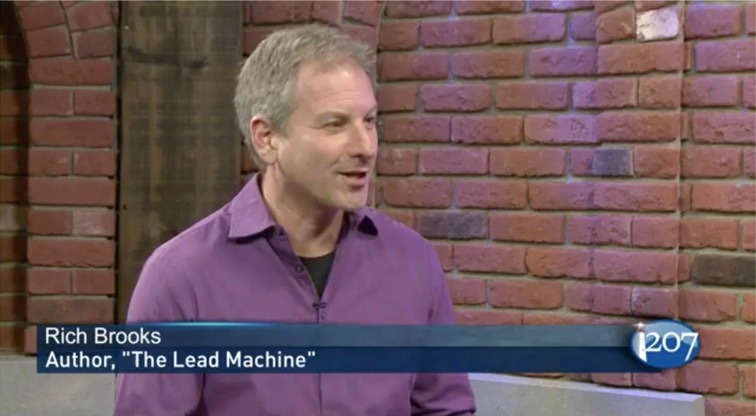 I had the opportunity earlier this week to go on 207 and talk about my new book, The Lead Machine: The Small Business Guide to Digital Marketing, which was a blast. I even got a shout out for my editor, Lisa Canfield, at the very end. Lisa, I hope you’re listening! How long does it take to write a book? I can say it took me sixty hours, or ten months, or six years, or twenty. Depends how you look at it. The writing of The Lead Machine: The Small Business Guide to Digital Marketing, took me sixty hours. I had heard from countless people that writing a book was the most difficult thing they ever did. That it was an absolute grind. That it was as painful as giving birth. Based upon what my mother has told me about about my own birth, I knew this couldn’t be true. First of all, she was in labor for twice as long as it took me to write the book. Having the date in there was a clear reminder—and visual reprimand—if I missed a day. I had promised myself that I’d work at least an hour a day on the book, and for most days I did. I wrote the first draft in Google Docs so it was easy to get a total word count at the end of each session. I then set up a formula to compute and enter the Words Written for the day. Finally, the spreadsheet calculated the words per hour I was writing, and also totaled my average, which turned out to be just over 1,000 words an hour. This kept me motivated to keep my head down and focus on my writing during these sessions. Of course, the writing is the fun part. Editing is the work. At least it was for me. When I completed the first draft, about a month earlier than I had expected, I followed the advice of my friend, my book coach, and author of The Profitable Business Author, Julie Ann Eason, who told me to take two weeks off from the book. Get some space and let everything settle. Fourteen days later I walked into Staples, printed up the manuscript and put it in a blue binder. Per Julie’s recommendation, I read the book out loud to myself, marking it up with a red pen. I killed that red pen. There were parts of the book that were unclear, repetitive, or just didn’t make any sense. There was bad English and worse puns. There was grammar that didn’t look, act, or smell like grammar. There were also some nice surprises. A number of times I read a passage that I didn’t remember writing and it made me laugh out loud. That wasn’t the last time I had to read the book. Once I completed it and made the changes to the digital file, I handed it off to an editor who reviewed and marked up the file. I then had to read the book again and agree or disagree with her changes. Once I got the book professionally formatted I had to read it again, to pick up additional mistakes. That process actually took five iterations, but I can promise you I didn’t read it through each time. I also went through a process getting the cover designed. The designer I hired created three versions based on my input, each with a unique piece of stock illustrations that was meant to represent the idea of the book. Only after seeing them did I realize that I wanted an original illustration that would represent the book and no one else could use. So, I turned to my friend Josh Fisher, who had done the designs for the Agents of Change as well as some other art for me over the years, and he came up with what can only be described as a Lead Machine. Once that was completed, I uploaded everything to CreateSpace (to turn it into a paperback that can be sold on Amazon) and KDP, which turns it into a Kindle book. Because sometimes the upload gets wonky, you’re supposed to read through it again to find mistakes, both for the paperback and Kindle version. I skimmed. They never tell you how often you’re going to read your own book before publication. Funny aside: I was using CreateSpace to upload my paperback to Amazon, but it was taking too long and I was getting distracted, so I decided to come back when I had a bigger block of time. Two days later I returned, only to find out not only had I completed the process but I’d sold two copies! Perhaps not the most auspicious of beginnings, but it was cool to see that two people had already purchased copies without me promoting it. Ever since 2010 I’ve included “writing a book” on my annual goals list. Usually right at the top. Why it took so long I can’t say. I got busy, things came up, I spent my time working on other projects. I’ve got plenty of good excuses, and even more poor ones. When I finally realized that not having a book was holding me back professionally, I decided to get serious. For me, that meant hiring a coach. I’ve found that often it’s important to have skin in the game. Once I started paying Julie for her one-on one-coaching, something clicked inside me and I got to work. I’m not suggesting that everyone needs a book coach to get the work done, but sometimes making a personal investment is the motivation you need to move forward. That’s how long I’ve been doing this. Or more specifically, it’s been twenty years since I started building websites and marketing businesses online. Hundreds of clients, over a dozen employees, and countless hours blogging, podcasting, optimizing, and marketing later, I had enough experience to take the book that was in my mind and bring it into the world. In that time I’ve worked with so many people, businesses, and organizations. Each one different, each one unique, and yet there was one thing that seemed to connect them. The need to generate leads online, whatever “leads” meant to them. There’s still work to be done. The promotional push (of which this blog post is part.) The launch party, where books will be signed and bourbon will be consumed. An attempt to get the book into local bookstores. And a whole lot more. 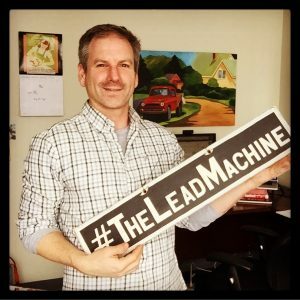 If you’re looking for a good read (he says, biased,) and want to generate more leads from your website, consider grabbing a copy of The Lead Machine from Amazon. If you have any questions about the book, or about the process of birthing a book, please let me know in the comments below. Ranking well on a local search is important. 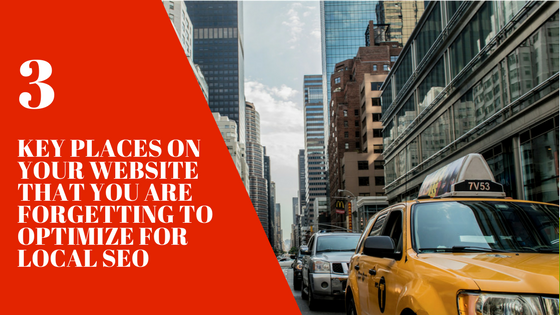 Here are three places on your website that you are forgetting about that will increase your Local SEO. You know how important showing up in search results is for your business. When someone Googles you, your products, or your services, you want to be found by them. 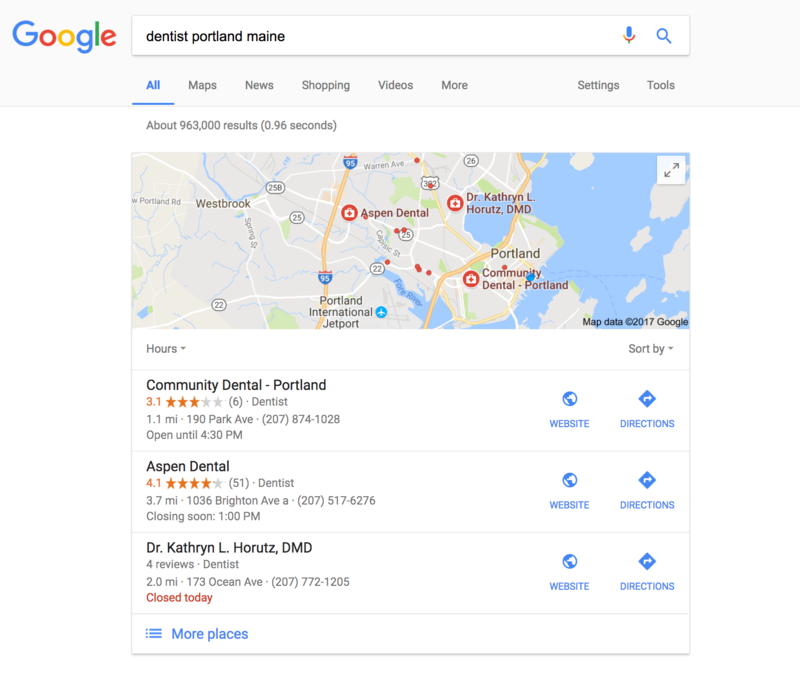 You also know how showing up in local search results can drive local customers to your website and your location. If someone is looking for your services or products in your area, you want to show up in the “snack pack”: the local results that appear highlighted on the map at the top of the search results page. If done well, you can show up in the map and in the organic listings below it! 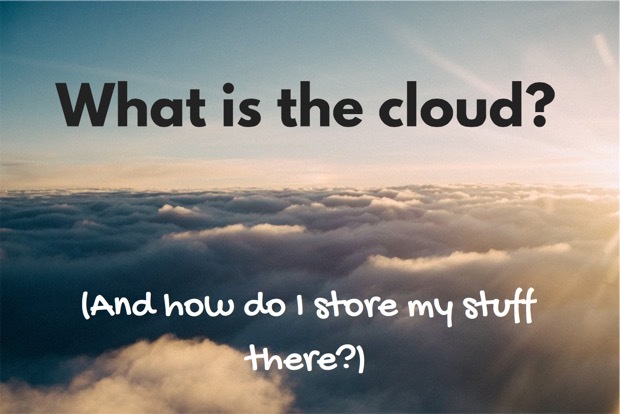 What is the cloud and what is cloud storage? If you’ve ever had a computer die on you or lost an external hard drive, you may have wondered if there’s a better way to backup and store your data, photos, and files. My dad, Dr. Robert Brooks, was asking me about the cloud and cloud storage over Thanksgiving (anyone else the default IT guy in their family?) as a way of backing up some photos and being able to access them over multiple devices. I’m not sure if it was his idea or mine that this would make for a good 207 segment (my brother’s father-in-law is an excellent mixologist) but I shared it with the good people over at WCSH 6 (the NBC affiliate here in Maine) and they gave it a big thumbs up. Are you looking to attract podcast guests to your brand new show, but not sure how to nab those first few interviews? In this post I’ll share some tactics to attract great guests to your show even if you haven’t published your first episode. The give and take of an interview makes for interesting listening. Of course, this is dependent on the interviewer and interviewee, but it can be more dynamic than just listening to one person read from a script. It takes a lot of the pressure off you. If you’re asking open-ended questions, your guests will be doing most of the speaking. You can learn a lot. Experts may charge hundreds of dollars an hour for consulting, but they’re sharing all their best content with you for free! You can extend your reach. 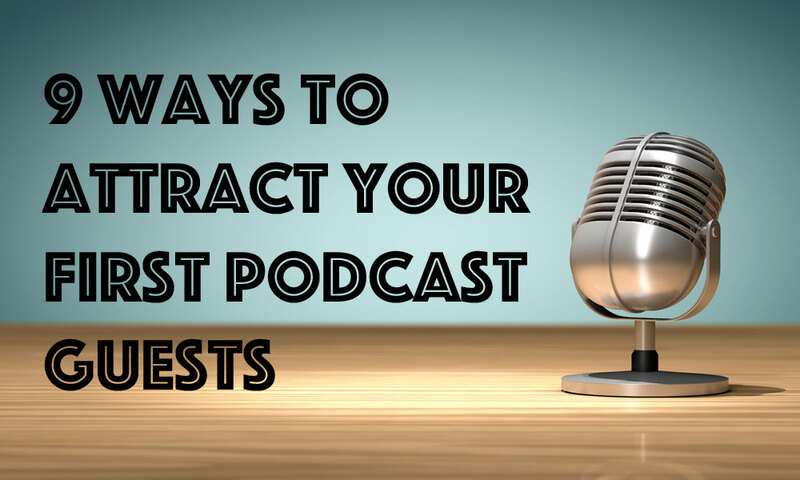 Most interviewees will share your podcast with their audience as it helps build their own authority. I need some advice. For someone who is new in the podcast world, how do you market yourself for new interviews…before you have an audience or a big email list to offer in exchange? Why should you set up goals in Google Analytics? Goals give us better information and feedback on how our website is performing and how our best quality visitors are finding our site. 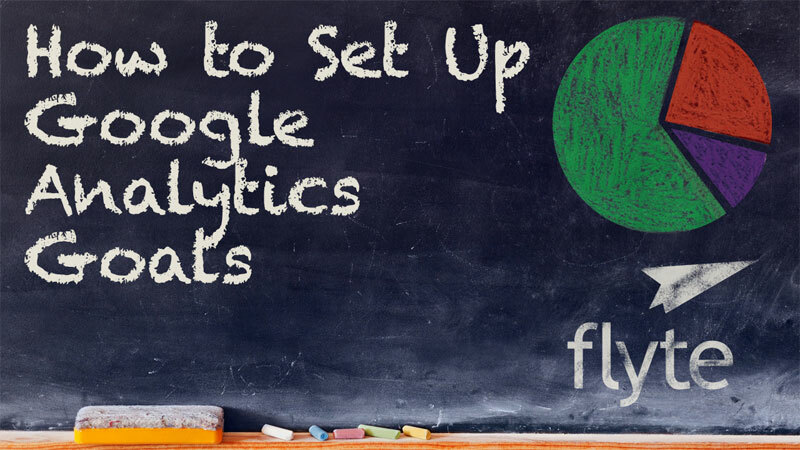 Previously we’ve talked about how to set up Google Analytics and how to create Google Analytics filters. Today, we’re going to focus on goals. If you’re interested in generating more leads online, than you’ll want to setup goals in Google Analytics…here’s how. Are you responsible for the Halloween party this year? Do you have the playlist set? Ideas for spooky decorations? How about some creepy snacks for the trick or treaters? Those were the questions I set out to answer recently on the evening news program 207, which airs on the NBC affiliates here in Maine….